While some people go out for fancy dinners on Valentine’s Day night, or cook fancy meals like steak and lobster tails, I made truck stop food humble food. However, my husband loves eggs, love potatoes, and since he surprised me, I wanted to surprise him and to him, this is a lobster tail. Well, almost, but you know what I mean. I’m frequently asked why I don’t photograph our dinners more often or feature more savory or dinnertime food on my site and the reason is that frequently, dinner is a simple entree, paired with a salad. 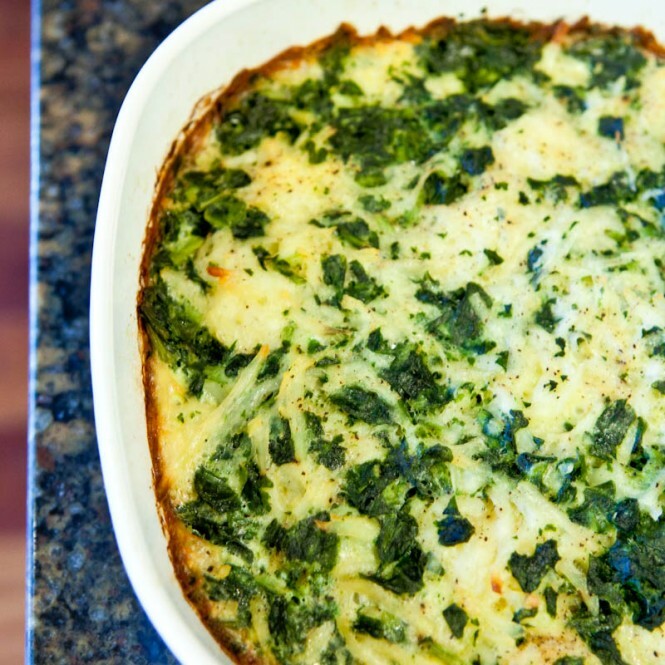 Not “bad” but I don’t know if the world cares about eggs and potato casseroles, so I typically refrain. At 4pm (and with the help of Lightroom 3 editing), the lighting is acceptable, and this is what the casserole looked like before I baked it. However, by the time dinner is actually served, the lighting is usually sub-par making it hard to take pictures that are useable, even after massive editing and color tweaking. The spinach added a nice pop, both in flavor and in color to otherwise neutral food. It doesn’t get more white-colored and neutral-tasting than potatoes and eggs, and I like to incorporate veggies as often as possible. For once, I do live up to my blog’s name. And I tossed in some kick and heat, too. Cayenne or hot pepper jelly is great for the sinuses and as a way to jazz up those hum-drum eggs ‘n taters before baking. This is humble and honest food; this is not fancy. This is dinner on Tuesday; this is not the French Laundry. But sometimes the basics are just what the doctor ordered truck driver ordered. Preheat oven to 375F and spray a medium-sized baking dish with cooking spray. 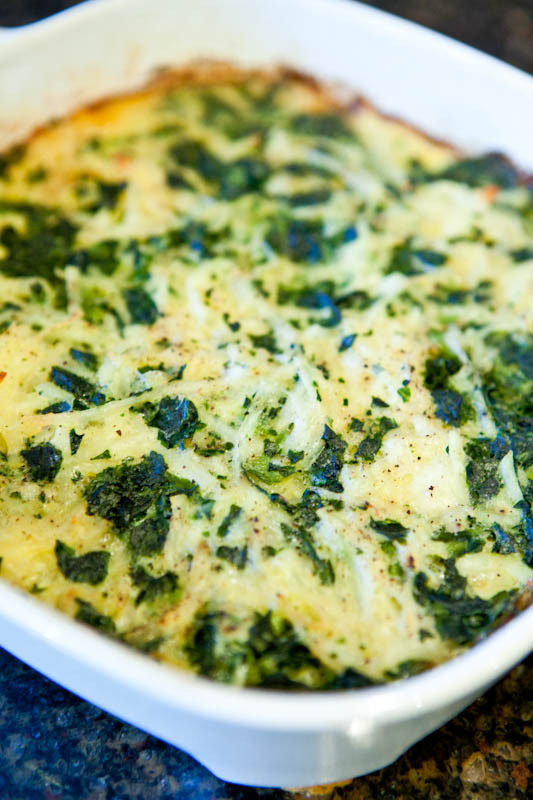 Crack eggs into the baking dish and lightly beat them with a fork. Add all remaining ingredients and any optional ingredients and swirl them into the eggs, dispersing them evenly. Place baking dish on top of a cookie sheet if needed for stability, and bake for 25 to 30 minutes, covered. If your baking dish does not have a lid, you may wish to cover it with foil so the top doesn’t burn before the rest is cooked through. I removed the lid and baked for 20 additional minutes, uncovered, to brown the top very slightly (25 minutes covered + 20 minutes uncovered = 45 minutes total baking time) Optionally, top with cheese in the last 5 minutes of baking. Cooking times will vary based on size of baking dish and amount of vegetables used. Remove from oven when edges are just beginning to brown and pull away slightly from the sides of the dish. Slice and serve immediately, with ketchup drizzled over the top if desired. Store any leftovers in the refrigerator and serve them either cold or reheated, for up to two days, using common sense. 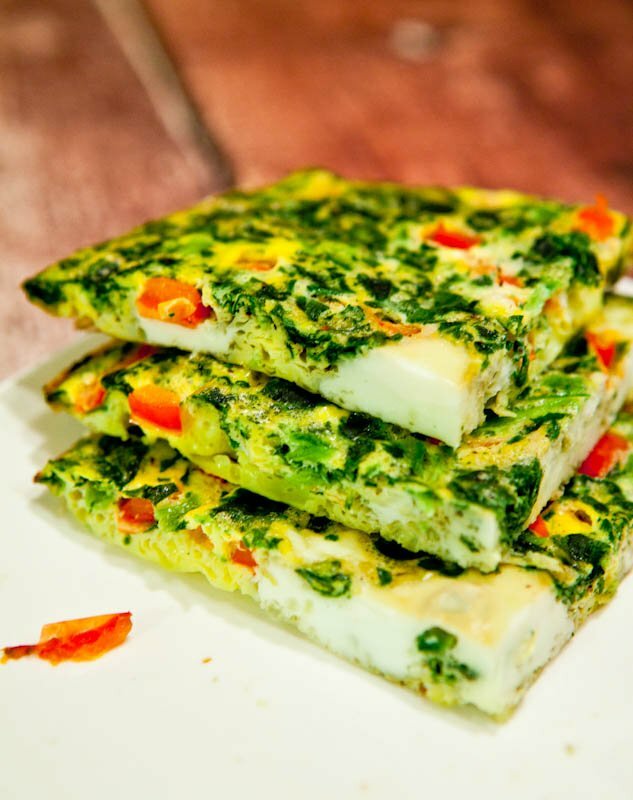 After three years of not showcasing a savory egg dish on my site, I’ve done it twice in one week by kicking off the week with a Spinach and Red Pepper Frittata. I can promise that three times in one week will not be a charm. You’re safe if you’re not as big of an egg fan as my husband is because I’m fresh out of eggs. I blame it on all the baking I did yesterday. And I’m also fresh out of the Snickerdoodle Cookie Bars with Pink Vanilla Cream Cheese Frosting now, too. 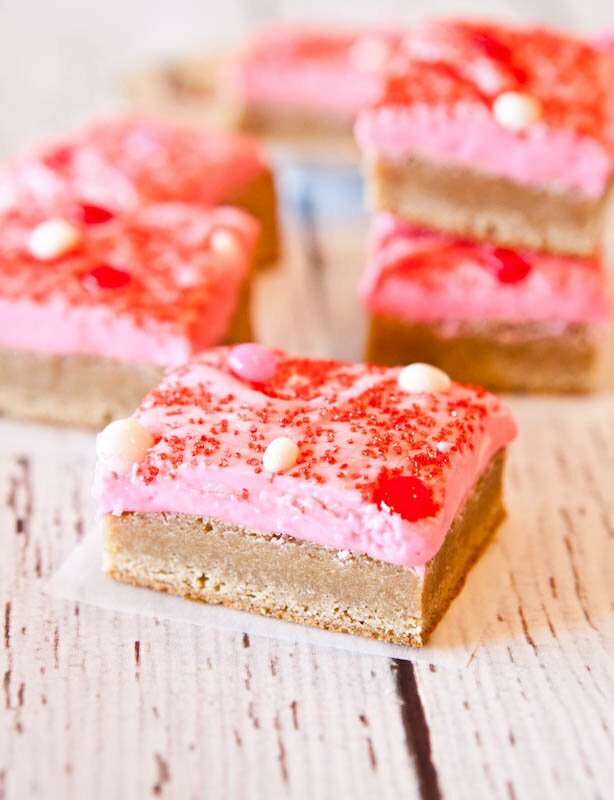 They were our Valentine’s Day dessert and I’d like to think they look a little fancier than the casserole, but truthfully, I make bars whenever possible instead of cookies because they’re easier and faster. 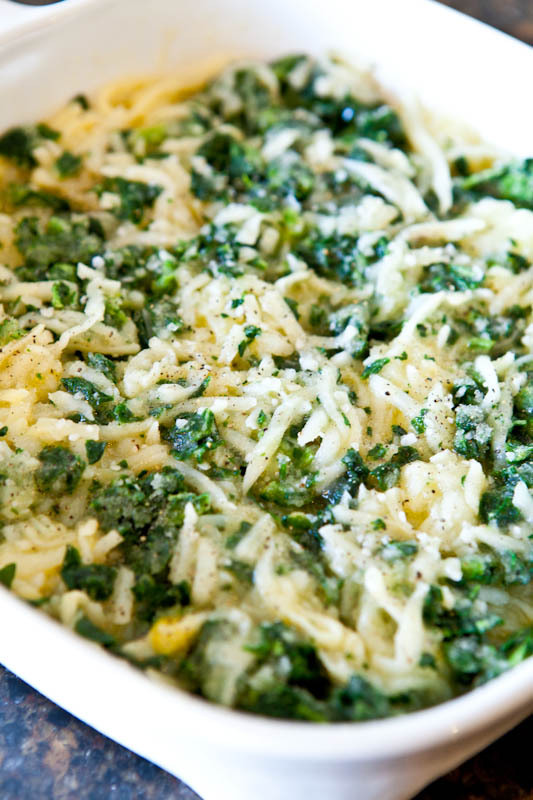 Do you have any weeknight staple dinners or favorites? In general, do you prefer fancy food or more basic food? I can appreciate fancy food and I love going out for fancy dinners when the time is right. But at 6:37pm on a weeknight with hungry mouths to feed, that’s not the time for fancy. That’s a time for have a gameplan, get it done and on the table quickly, and the basics are where it’s at. This is total comfort food. I like meals like this so I can get multiple meals out of it. This would be great any meal of the day! Looks like a great dinner! I wish I could post more dinner recipes, but that darn light is a killer! My dinners are not usually too exciting, but when they are, I’m bummed about the lack of daylight. It will be a lot better when we set our clocks forward next month! We generally rotate the same 7 or 8 dinners over and over again, but I’ve been throwing a lot of new recipes into the mix lately. 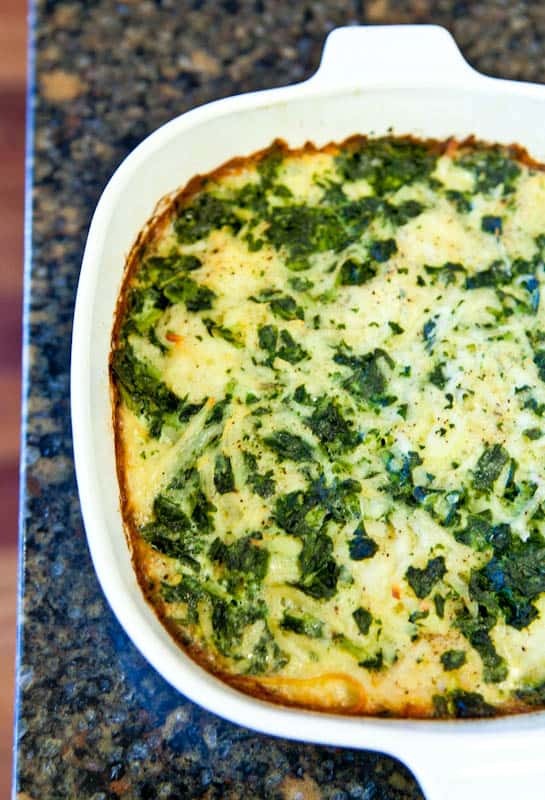 I love egg bakes and casseroles- this looks delicious! 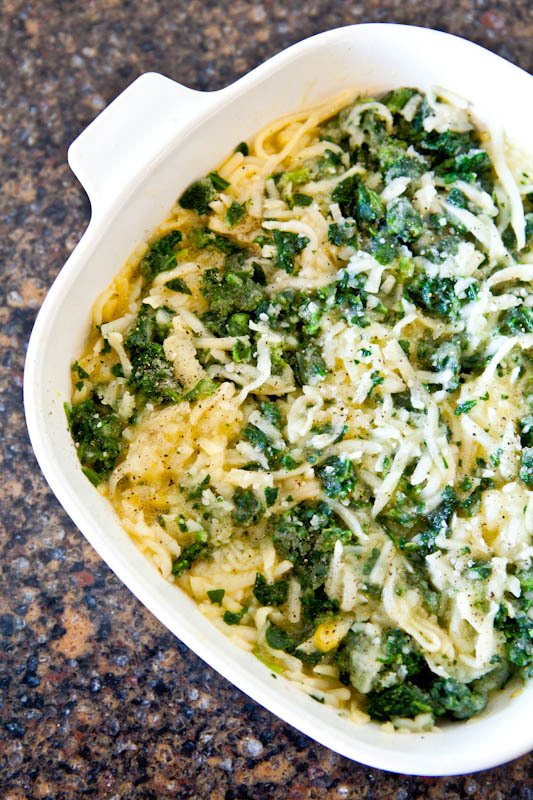 My hubby would love this casserole too. Our weeknight dinners are usually simple especially with as busy as work has been lately. Those look amazing! You cant get more comforting than that. This looks delicious, and I think the photos look great! Looks good enough to eat, anyways! I’m all about comfort food. I just can’t get into “fancy” food. Just reading about fancy food makes me feel like I’m being pretentious or something. Plus it makes me feel like I have to dress up and sit at the dining room table instead of wearing my sweatpants and eating at the coffee table. And who wants to do that? Oh, right, normal people! I’m all about the sweatpants, girl! Well LMK if you try it and it makes it into the rotation! I think I’ve already told you of my love for eggs. This looks SO good! Good to know….and enjoy SPAIN!!! Quick and random question: Would it be okay to bake and freeze this? Will it still turn out? You mean bake it and freeze the leftovers? And then reheat it again? I’m sure it would be fine but I haven’t tried it personally. Also, I had one quick question- what template do you use for your blog? Do you use wordpress? I love the look. How many side dish servings?? Two? depends who you’re feeding but I would say 4 sides or 2 hearty mains. 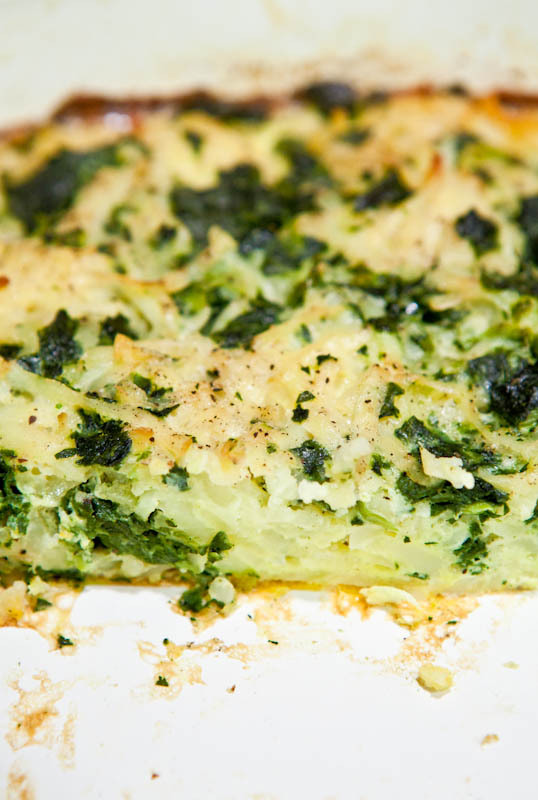 Can I grate potatoes instead of the hash brown? Yes but make sure to wring them out VERY well so the recipe doesn’t turn too watery and soupy from the potato moisture.